Grotesque monsters known as Impurities reside in Magano, a realm parallel to the present day. Exorcists purify these evil apparitions to protect the people. Rokuro Enmado is opposed to becoming an exorcist, even though he has the talent to be one, but an oracle gives him the title of "Twin Star Exorcist," the name bestowed upon married exorcists. Benio Adashino, the girl who receives the title along with Rokuro, is determined to exorcise all the Kegare, or Impurities, in the world. 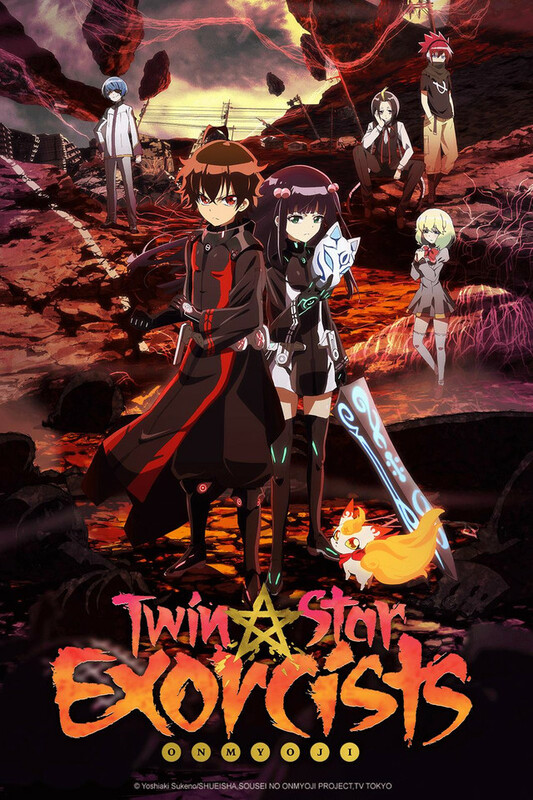 The two find themselves wrapped up in more and more battles together as the Twin Star Exorcists, and as Rokuro watches Benio fight with the wish to become stronger, he's forced to face the weakness he's lived with ever since the Hiinatsuki Tragedy. Now that his eyes are turned toward the battle again, due to Benio, Rokuro makes up his mind to fight as an exorcist once more, and the Twin Star Exorcists take on the most powerful of Kegare together!